T cells play an integral role in the adaptive immune system. The various T cell subtypes exert distinct roles in cell-mediated immunity to aid the immune response. Although there is a large variety of T cell subtypes, they can broadly be divided into CD4+ T helper cells (TH), CD8+ cytotoxic T killer cells (TC) and subtypes, such as CD4+CD25+ regulatory T cells (Treg). 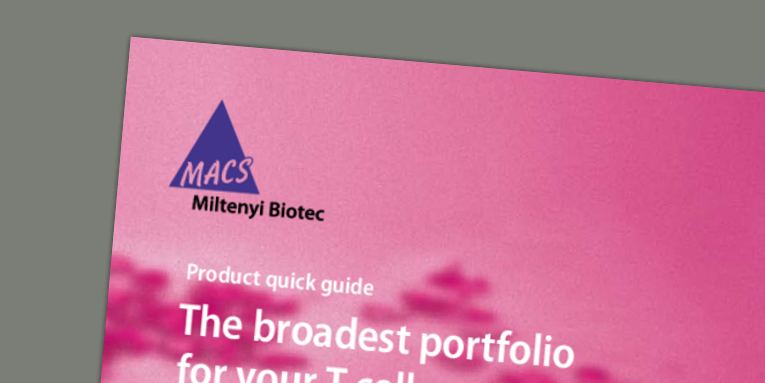 Miltenyi Biotec offers tailored solutions for every step in your T cell workflow: Gentle sample preparation, accurate cell separation, optimized cell culture, and precise flow cytometry ensure an optimal outcome of your T cell experiment. From basic research to clinical applications, explore our complete translational T cell workflow.